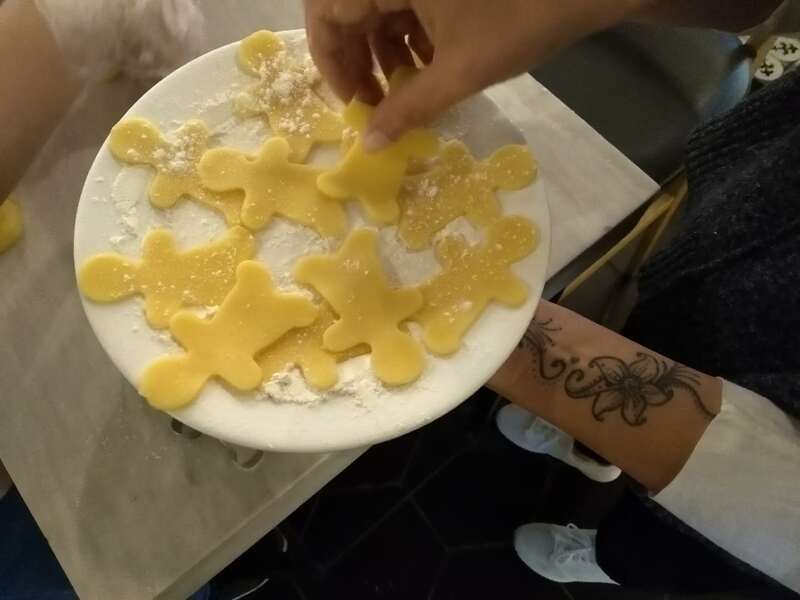 On December 15th Galileo Galilei Italian Institute organized the workshop “Cooking class: Christmas Biscuits Edition”, supported by OriganoRoma Italian Restaurant. 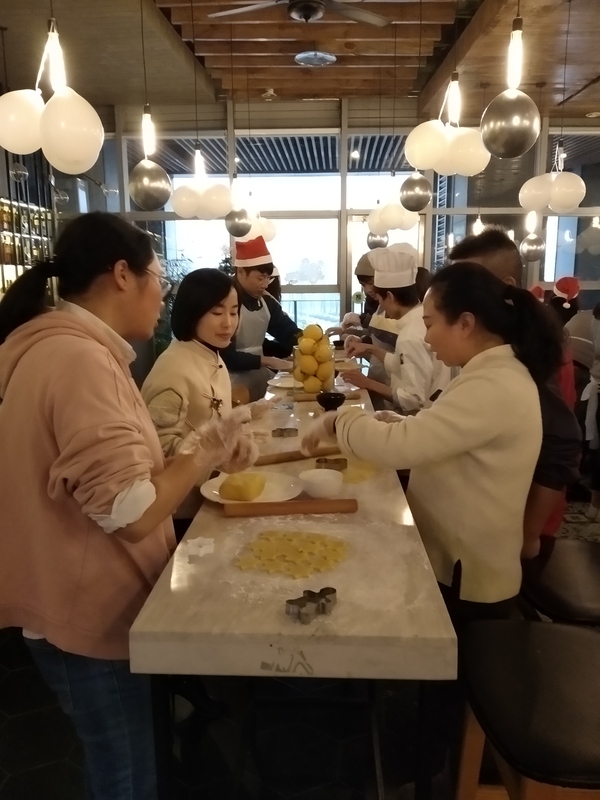 The aim of the event was to promote the Italian culture and food in Chongqing. 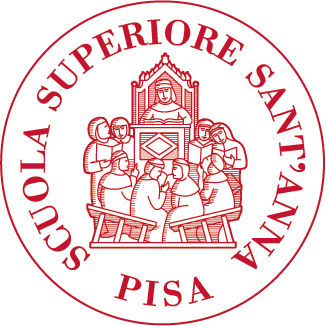 The workshop started with an introduction about Christmas and the way Italian families like to spend this festivity. 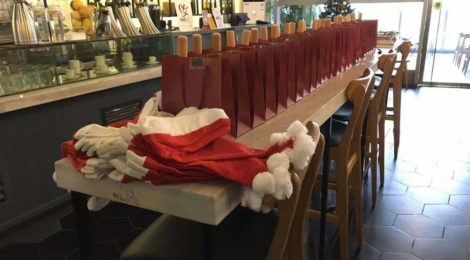 Christmas time is in fact, a very special period for most of the people in Italy during which families gather together, eat traditional Christmas food and enjoy a special atmosphere around the cities which are decorated with thousands of lights. 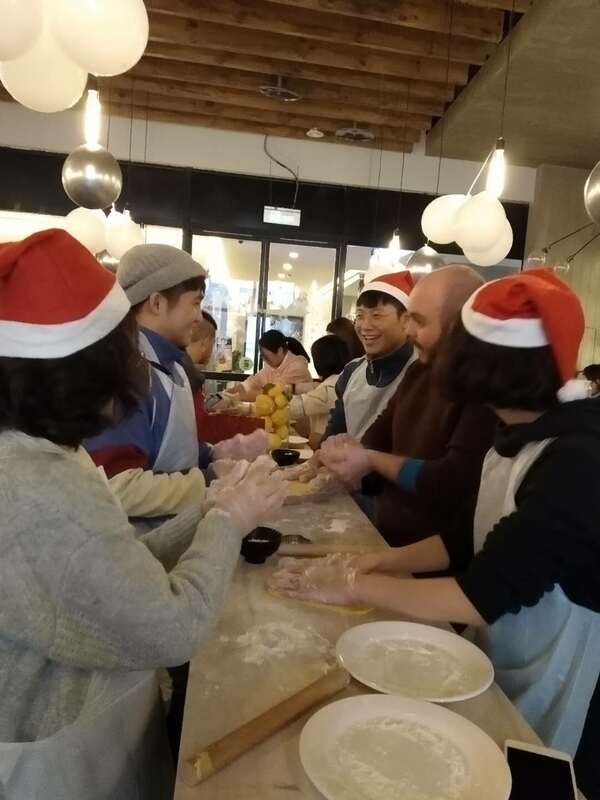 During the second part of the event, the participants joined the cooking class, during which the chef from Origano Roma Italian Restaurant, taught them how to make delicious Italian style biscuits. During the preparation, all the participants drank an Italian traditional winter drink: the hot chocolate. 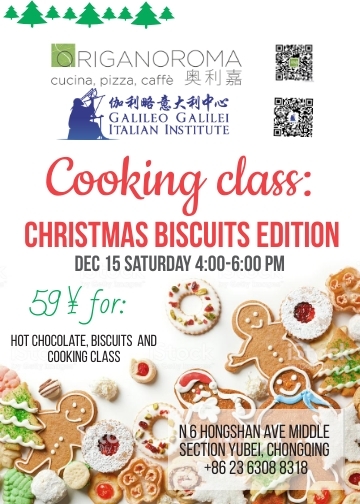 All the participants to the workshop “Cooking class: Christmas Biscuits Edition”, got a gift bag containing Italian biscuits and little gifts regarding Christmas.